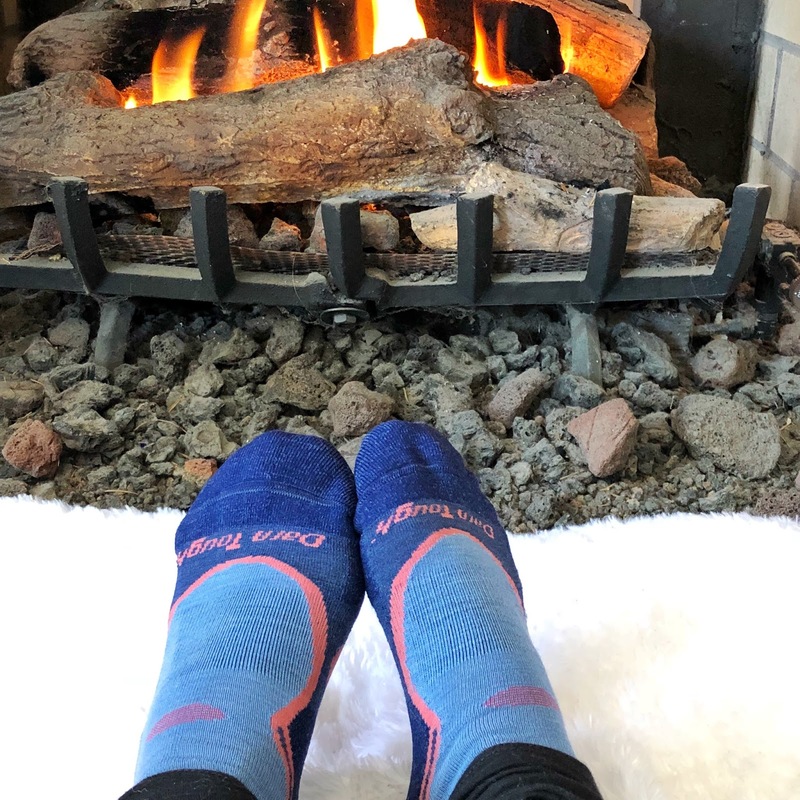 I am darn tough on my feet, and that’s why when it comes to hiking, biking, running, skiing and any other outside activity I want a good pair of socks. 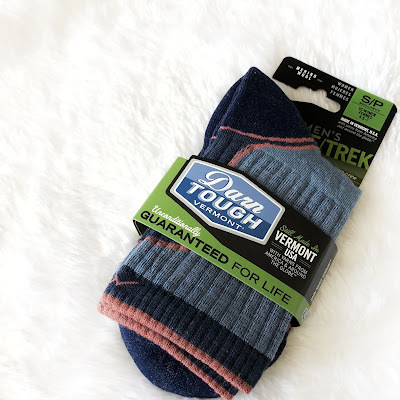 I recently discovered Darn Tough Socks, and let me tell you immediately (before trying them on) I fell in love with them. You guys they’re made in the USA – specifically Vermont. 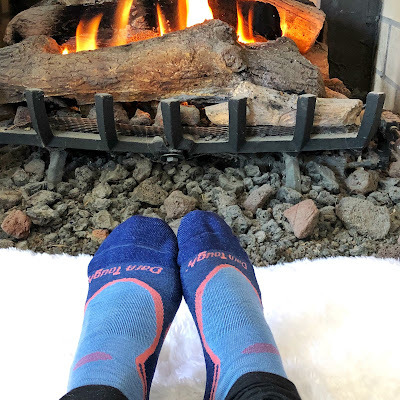 I am a HUGE advocate of buying products made in the USA, and was beyond excited to find a brand of socks that not only keeps my feet comfortable while adventuring, but also is made right here in the United States. Each sock is knitted with a small needle on fine gauge knitting machines. This approach produces a durable, high density stitching without the bulk – therefore you get a better fit. Having a better fitting sock, means it will last longer. Oh, and it gets better – these socks come with a warranty! Yes, you read that correctly. 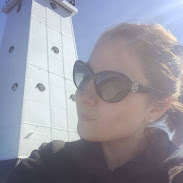 If you wear a hole in them they will replace them FREE of charge, for LIFE. 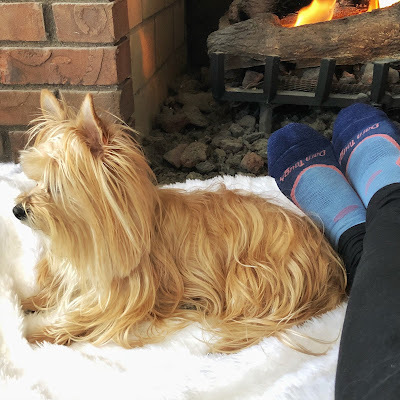 I have worn the socks while hiking, skiing and just hanging out around the house – hands down these socks are amazing and I can’t believe it took me so long to discover such an amazing brand. 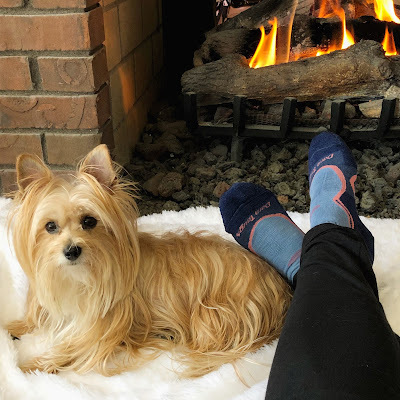 Your socks are very beautiful.